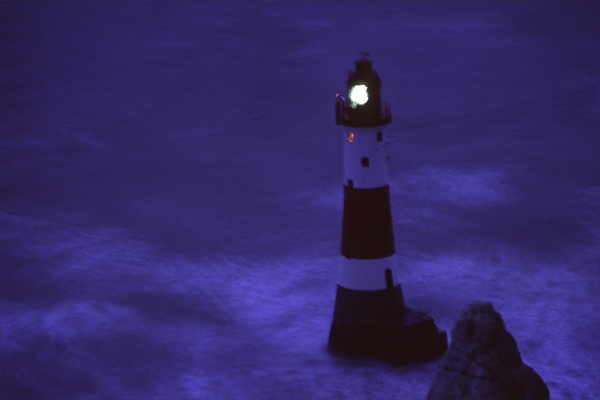 Ron and Maggie Tear Photography: Beachy Head Lighthouse. Famous landmark in East Sussex. This lighthouse is synonomous with the Sussex downs and the Seven Sisters. Until recently stood alone out at sea. Erosion of the has resulted in a chalk bridge being formed through the collapse of the cliffs. This image was a long exposure taken during a gale, quite a night. Seven Sisters, East Sussex, UK.